Empires of Kunark is EverQuest's 23rd Expansion! You can now choose a buff granted by one of your familiars, while summoning a different familiar! 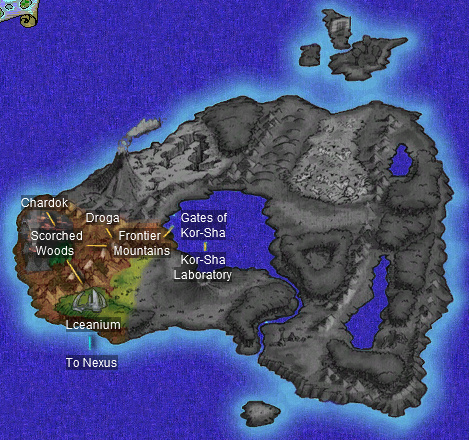 The entry zone to Empires of Kunark is Lceanium. You can get here by using the Guild Hall portal, or through The Nexus. In The Nexus, speak with any of the four NPC's standing on the platform in the center of the zone. They will give you an item, just hold on to that item and stand in the center of the platform. Once every couple minutes the portal will become active, and you will be transported to Lceanium. Group and Raid gear continue to use the Type 5 aug slot for pure Heroic stats, as they did in TBM. However, the types 9, 6, etc are no longer used (yay!). All EoK zones are open and unlocked at launch. There is no keying or flagging required. Normal quest progression is only required to request raid events and continue on quest/mission progression. If you do complete progression, including all quests and missions, you will receive a very nice Rhino mount - Golden Frontier Rhinoceros Saddle! Have fun in Empires of Kunark! This expansion has some beautiful artwork.